NOTE: This will not only be the last SPIRITS with SPIRITS of 2013, it will also be the last one for a while. GHOULA will be taking a break from this monthly ritual, so that we can focus on other events in the coming year. Rest assured though, we do plan on bringing SPIRITS with SPIRITS back in the future since there are still so many haunted bars/restaurants we haven’t done yet. El Carmen most likely invented the Mexican restaurant staple, the “Combination Plate,” when they offered what was called at the time, the “Mexican Blue Plate Special,” where patrons could mix-and-match smaller portions of any three dishes at a bargain price. They created a “build your own Taco” concept, where lettuce, tomato, cheese, and salsa were served separately, so the patron could put on as much, or as little, as they liked. Also, they were the first to mysteriously top their tostadas with French dressing. At one time, the menus of this local hang-out boasted it was the “oldest Mexican restaurant in Hollywood.” Although we can quibble about whether its location is actually in “Hollywood” (which has no official boundaries), there is no debating that it is one of the oldest Mexican restaurants in Los Angeles (84 years old). When lines began forming (around the block) at their first location at the intersection of 3rd and La Brea in the 1950’s, they moved to their current location on Beverly Blvd. Today, that building has been divided with a wall, and El Carmen occupies part of the original dinning room (with a new entrance). Around the turn of the last century, this simple taqueria became a world-class “tequilaria” (with hundreds of tequilas to choose from), and more notably it adopted a Mexican masked-wrestling theme. 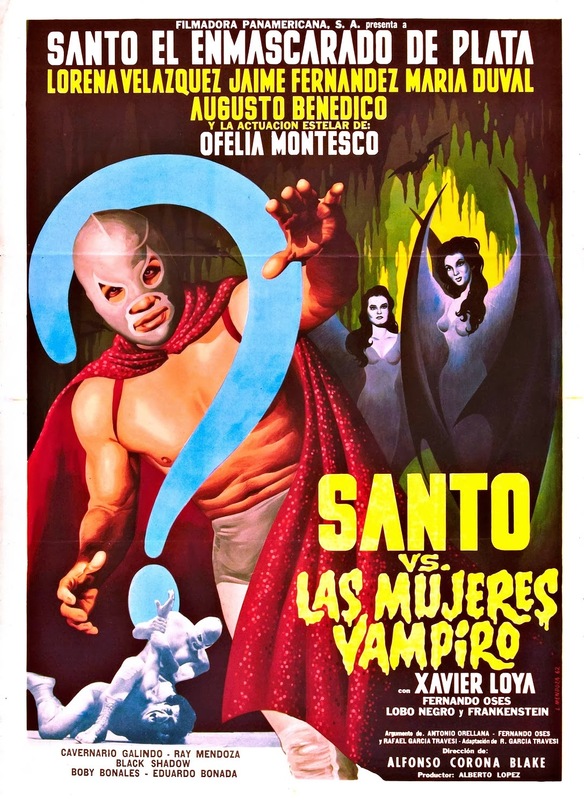 For those unfamiliar with the pop-culture surrounding this national sport, tons of (now cult) movies were built around the superhero-like identities of these masked wrestlers, pitting them against supernatural forces (aliens, monsters, vampires, etc.). But no matter what chaos threatened the world in these quirky films, there was always time for a musical number and a cocktail in a swanky night club. Is it any wonder, that a bar that pays homage to these larger than life figures would also have a supernatural connection? El Carmen is said to be haunted by a ghost, who moves objects, either making things seemingly appear or disappear, or turning electrical objects on or off. Although this sneaky spirit has never been (visibly) caught in the act, it is believed that this invisible force is El Carmen’s founder, Encarnacion Gomez, popping in on occasion to check on things. 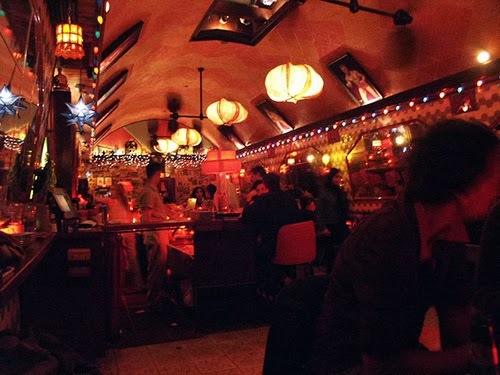 So, come out to Hollywood’s oldest Mexican restaurant, and have a cocktail while the ghosts roam (or the vampires, or the werewolves, or robots, etc. )… if you dare!